Growing up in Grand Forks, agriculture and the entrepreneurial spirit was a part of Chris Ryan’s upbringing. Farming was on both sides of the family including his grandfather Jerry Ryan, Co-Founder of the Ryan Potato Company. When he moved to California in 2007 for a Medical Device Sales job with Medtronic, he never imagined he would be part of a winery or that it would make it’s way back home. 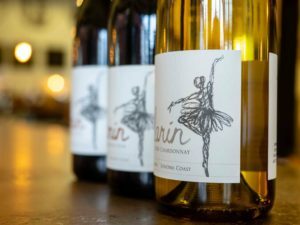 As Bailarin Cellars’ wine hits the shelf at the five Happy Harry’s locations across Grand Forks and Fargo, both will be a full reality. “Wine was never a part of life until I met my wife Amanda. She grew up in wine country in Santa Rosa, California around many vineyards, winemakers, and wineries. She opened my eyes to quality wine which was a very different experience than college and after. What I learned that seems obvious now is that taste begins on the farm. Just the Red River Valley that is widely known for great soil and climate for potatoes and more, the Russian River Valley is known for incredible wine grape varietals including Pinot Noir, Chardonnay, and Zinfandel. We were fortunate to have a personal connection to award winning Pinot Noir grapes that was a catalyst for our founding,” states Ryan. 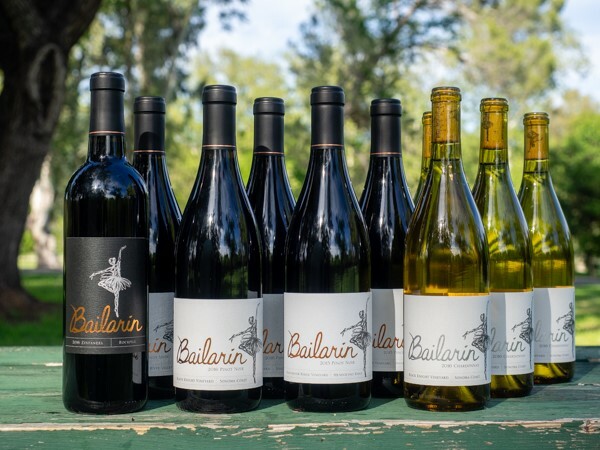 Bailarin Cellars was established by friends and family as a boutique winery in 2014. In the inaugural year, they made two Pinot Noirs including the Suacci Vineyard that scored 93 Points from Wine Enthusiast and the Manchester Ridge that scored 92. “Bailarin” is Spanish for dancer and represents people who do what they love. This is most certainly the case for the management team who divvy up responsibilities on top of their primary jobs plus Winemaker Will Weese. Chris is the Executive Director and leads the management team plus investor partners that include Grand Forks locals Bev & Casey Ryan (former President of Altru). 2016 Black Knight Vineyard Pinot Noir – $45.99 per bottle. 2017 North Coast Rosé – $24.99 per bottle.